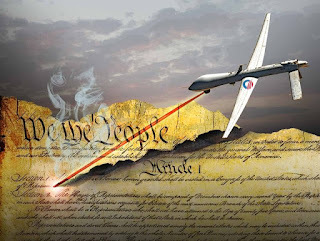 The recent leak of a Department of Justice white paper on the legal justification for the use of drones to execute American citizens abroad accused of terrorism raises some very important constitutional and moral issues. Politicians should not decide the crime and the punishment for American citizens here or abroad. A trial by jury with a judge is a right to be prized by American citizens. 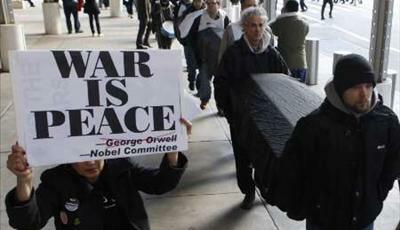 Now, if you join al Qaeda, bear arms and attack U.S. forces, no one will argue that you still have a right to a trial. In the heat of battle, everyone understands that those launching grenades will have no jurisprudence. Yet, if you leave the country and take up arms or encourage others to support violence, or call for America’s destruction, you are a traitor. 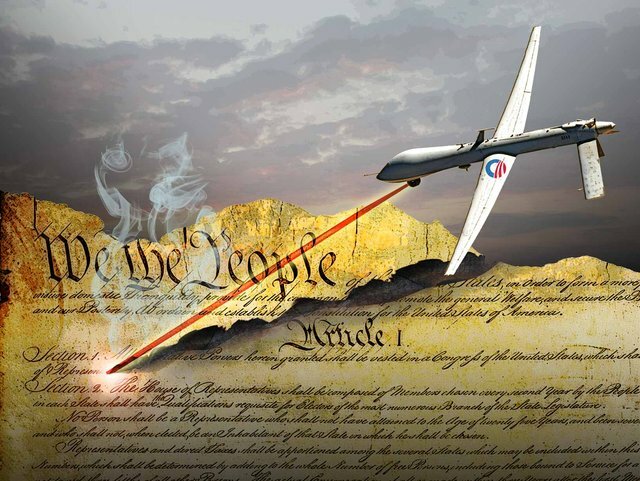 If you are a traitor, you deserve to be fired on by an armed drone. If you’re launching a missile on U.S. troops, if you are launching a missile toward the United States, if you are hijacking a plane, if you are setting off a bomb, if you are leveling an AK-47 at any one of our soldiers — by all means and with great expedition, we will drop a drone bomb on you. No one is arguing against employing immediate and lethal force against anyone whose finger approaches a trigger. President Obama’s drone killing goes a great deal further, however. Mr. Obama tells us that an “imminent threat” need not be “immediate.” What? Only a group of lawyers could argue that imminent really means the opposite. The most infamous American killed by drone was Anwar al-Awlaki. He was targeted for months — long enough and publicly enough that his father actually protested in court but was not heard. Now, I have no sympathy for al-Awlaki. From what I’ve read in the lay press, I have concluded that he was a traitor. As a juror, I would have voted to convict him of treason. My question is, since his targeting was public and prolonged, why did we not try him for treason? If he didn’t show up, we could have tried him in absentia. If secret testimony was needed, it could have been heard before the Foreign Intelligence Surveillance Court. Why should we do all this for a traitor? Because we’re Americans. Because we prize our belief in trial by jury overseen by a judge. It is in the Bill of Rights and the Constitution. Because what makes us distinctly American is our belief in adjudicated justice. Because what the terrorists wish to destroy is exactly that freedom. Moreover, a few weeks after we killed al-Awlaki, we killed his 16-year-old son with a drone strike. Can a 16-year-old be a terrorist or a traitor? Absolutely, but am I the only American who believes that this 16-year-old also deserved the contemplation of a jury and a judge? The president is a politician. He is a politician from a party opposite mine, but my opposition to his drone killing is an opposition to any politician, Republican or Democrat, becoming an imperial executioner-in-chief. No politician should ever be granted that power. The Constitution provides for handling traitors. In fact, treason is one of four crimes that are truly federal under the Constitution. I have no sympathy for Americans who denounce their country — denounce their citizenship — to fight against us. Similarly, I have no sympathy for murderers and rapists within the United States. I do, however, insist that the murderers and rapists we punish be guilty and found guilty by a jury and a judge. Why? Why can we not just kill Americans who dissent? For one, because our government has already shown recklessness in defining who is a terrorist. Fusion centers in Missouri defined pro-life and pro-border-security hawks as potential terrorists. The Department of Justice produced a list of characteristics of terrorists that we should report to the government: people missing fingers; people who’ve changed the color of their hair; people who like to pay in cash; people who have more than seven days of food; and people who buy weatherized ammunition. No geographical limitation? Our border, one would hope, is a geographical limitation that would limit drone strikes. Will anyone on the committee ask such an impertinent but necessary question? Do I think Mr. Brennan or Mr. Obama are bad men who would kill innocent Americans for their political beliefs? No. Yet James Madison warned that government’s power should be limited, because we can’t guarantee that government will always be comprised of angels. We separated the police power from the judicial power for a very important reason. We didn’t want policemen to accuse, charge, arrest, convict and punish. Jurisprudence since the time of Morgan of Glamorgan, Prince of Wales, in 725 A.D., has wished to have separate judicial review of accusations to check the power of the king. Certainly, if history has warned that police power should be separated from judicial power, history would be appalled at politicians accusing (not charging, not arresting and not convicting) and going straight to killing American citizens without so much as a passing thought to the idea of consulting a judge or a jury. President Barack Obama willingly admits he dispatched CIA agents to kill an American and his teenage son and the son’s American friend while they were in a desert in Yemen in 2011. He says he did so because the adult had encouraged folks to wage war on the United States and the children were just “collateral damage.” He says further that he’ll do this again when he is convinced that killing Americans will keep America safe. He says he knows the adult encouraged evil, and his encouragement caused the deaths of innocents. The adult was never charged with a crime or indicted by a grand jury; he was just targeted for death by the president himself and executed by a CIA drone. International law and the law of war, to both of which the United States is bound by treaty, as well as federal law and the Judeo-Christian values that underlie the Declaration of Independence (which guarantees the right to live) and the Constitution (which permits governmental interference with that right only after a congressional declaration of war or individual due process) all provide that the certainty of the identity of a human target, the sincerity of the wish for his death, the perception of his guilt and imminent danger are insufficient to justify the government’s use of lethal force against him. The president may only lawfully kill after due process, in self-defense or under a declaration of war. 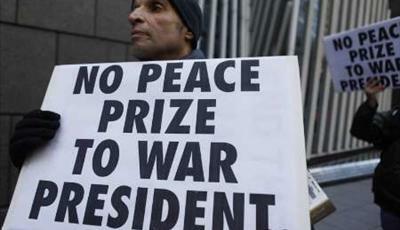 The reasons for the constitutional requirement of a congressional declaration of war are to provide a check on the president’s lust for war by forcing him to obtain formal congressional approval, to isolate and identify the object of war so the president cannot kill whomever he pleases, to confine the warfare to the places where the object’s military forces are located so the president cannot invade wherever he wishes, and to assure termination of the hostilities when the object of the war surrenders so the president cannot wage war without end. When war is waged, however, only belligerents may be targeted, and advocating violence against the United States is not an act of wartime violence and does not make one a belligerent. Were this not so, then nothing would lawfully prevent the United States from killing Americans who spoke out in favor of al Qaeda, and then killing Americans who spoke out against war and killing, and then killing Americans whose words became an obstacle to killing. That’s the reason the enabling federal legislation enacted in support of the 2001 Authorization for Use of Military Force specifically exempts expressive conduct from the ambit of prohibited criminal or warlike behavior that can provide the basis for any government prosecution or military belligerence. So, the feds can shoot at a guy with a bomb in his hands when he is about to explode it, but not at a guy with a megaphone in his hands when he is about to speak through it. Thus, if New Mexico-born Anwar al-Awlaki had been shooting at American troops at the time the government took aim at him, naturally, the troops can shoot back. When he merely encourages others to shoot, his behavior is protected by the natural law, the First Amendment and numerous federal statutes. As well, he was 10,000 miles from the United States, never known to have engaged in violent acts and having a private conversation at a roadside cafe in a desert when he was killed. No law or legal principle justifies the U.S. government killing him then and there; in fact, numerous laws prohibit it. The president’s use of the CIA for offensive killing also violates federal law. Intelligence agents may only lawfully kill in self-defense, not offensively. Only the military may lawfully kill offensively. In the al-Awlaki case, intelligence sources have confirmed to Fox News that a team of American and Yemeni intelligence agents had followed al-Awlaki and had him under continuous observation at the time of his killing and for the preceding 48 hours. They easily could have arrested him — had he been charged with a civilian crime or a war crime, which he wasn’t. Of course, the murder of his Colorado-born son and the son’s American friend are not even arguably defensible, and the president’s spokesman who suggested that the young al-Awlaki should have “chosen a different father” shows a seriously defective thought process and an utter antipathy for the rule of law in places of power. We now confront the truly unthinkable: a proposal to establish yet another secret court, this one with the authority to authorize the president and his designees to kill Americans. This proposal has come from Congress, which seems more interested in getting in on the killing than in upholding the Constitution. The federal government only has the lawful powers the states delegated to it. As the states cannot kill Americans without due process, neither can the feds. Congress cannot create this killing court, and no judge on such a Stalinesque court can authorize the president to kill. The president has made a political calculation that it will be easier for him to justify killing folks he can demonize than it will be to afford them due process, by capturing, housing and trying them. Now, he has come to believe that it will be easier still if unnamed federal judges meeting in secret take the heat. Politically, the president may be correct. Yet he has taken an oath to uphold the Constitution, and he lacks the moral and legal basis to reject that in favor of killing. When he kills without due process, he disobeys the laws he has sworn to uphold, no matter who agrees with him. When we talk about killing as if it were golf, we debase ourselves. When the government kills and we put our heads in the sand, woe to us when there is no place to hide. Andrew P. Napolitano, a former judge of the Superior Court of New Jersey, is the senior judicial analyst at Fox News Channel. Judge Napolitano has written seven books on the U.S. Constitution. The most recent is “Theodore and Woodrow: How Two American Presidents Destroyed Constitutional Freedom” (Thomas Nelson, 2012). If truth is the first casualty of war, consistency is probably the second. 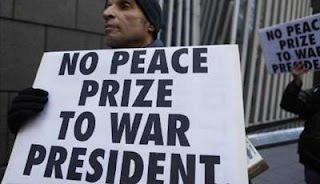 The loudest critics of President George W. Bush’s anti-terrorism policies have fallen silent as our Nobel Peace Prize-winning president ordered the killing of Americans in drone strikes. In the fall of 2011, three U.S. citizens, including a 16-year old boy, Abdulrahman al-Awlaki, were targeted and killed in Yemen using the military’s latest remote-controlled weapon. The family of the Denver-born teenager denies ties to terrorist organizations and is suing the U.S. government. There was no trial or independent review by the judicial branch. President Obama relied upon a legal memo from the Department of Justice in personally authorizing the kill mission. It’s a tough policy, but for nearly seven years of the Bush presidency, the American left condemned an equally vigorous war on terrorism. Liberals insisted the use of enhanced interrogation techniques on suspected terrorists, as justified by a Justice Department memo, was an unconstitutional assault on liberty. Instead of rolling back what his supporters railed against, Mr. Obama hit the accelerator, taking Mr. Bush’s anti-terrorism powers to another level. The lack of trust in Mr. Bush led Sen. Richard J. Durbin, Illinois Democrat, in 2005 to compare the former president’s policies with tactics “done by Nazis, Soviets in their gulags, or some mad regime — Pol Pot or others — that had no concern for human beings.” The liberal group Human Rights Watch called on foreign governments to prosecute Mr. Bush and some of his senior officials for war crimes over interrogation techniques involving waterboarding. In 2009, then-House Speaker Nancy Pelosi, San Francisco Democrat, promised Congress would hold the Bush administration accountable for abuses of power. “My approach is to look forward, recognizing that no one is above the law,” said Mrs. Pelosi. Neither Mr. Durbin nor Mrs. Pelosi has yet to recognize Mr. Obama for acting above the law in authorizing the assassination of American citizens. The Constitution doesn’t change depending on which political party happens to hold the White House. The man wielding the power of the presidency is always changing, so lawmakers must decide whether the power itself is legitimate, not whether the person exercising it is trustworthy. The willingness of many Democrats to rationalize Mr. Obama’s actions is unfortunate. Our Constitution suffers from their willingness to sacrifice principled consistency on the altar of rank partisanship.